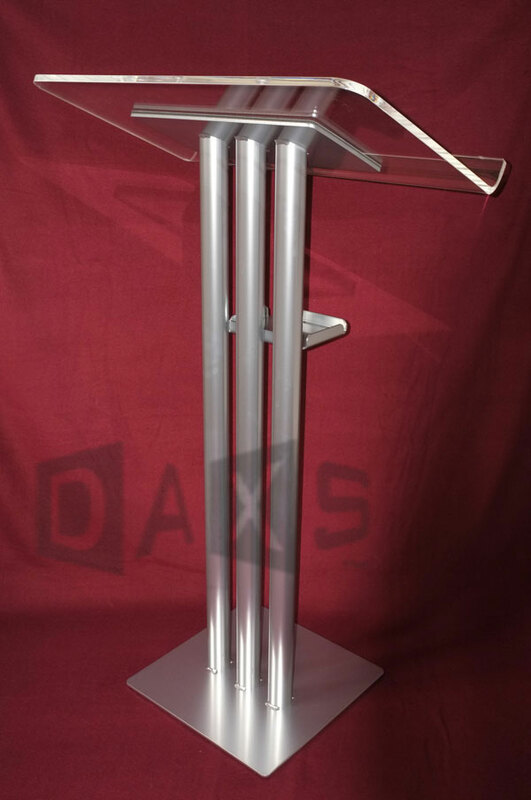 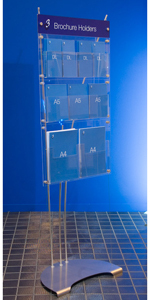 Another high capacity, 3-sided 'walk-round' brochure display unit with anodised aluminium frame and weighted hexagonal steel base. 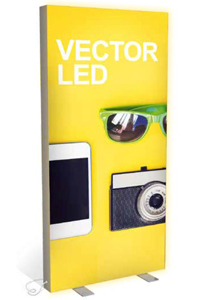 Quick and easy to assemble with 15x A4, 35mm deep, portrait clip-fit polystyrene brochure holders. 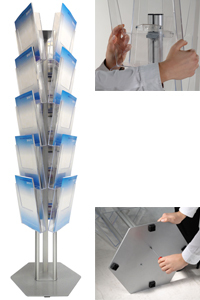 Click here to see larger image and dimensions.